Imagine you just retired and you are riding your customized Harley when a young lady from Philadelphia who is lost, makes a left hand turn directly in front of your motorcycle, causing a collision. You fly over her car, landing on the street, causing you to breaking several ribs, fracture your vertebrae and literally rip your rotator cuff off in half to the point where you can no longer lift your arm from the side of your body. 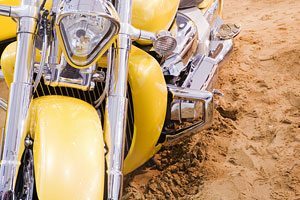 Time to call a motorcycle injury law firm. As you can imagine, the police, fire rescue and ambulance came and immediately transported my client to the emergency room where he remained for three nights while they relocated his torn and dislocated shoulder causing pain that you can only imagine. 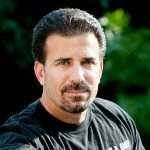 Unfortunately the re-location of his shoulder did nothing to solve his torn rotator cuff and after several visits to the initial orthopaedic surgeon he was referred to a shoulder specialist in Allentown, PA. He continued to treat with whom this Pennsylvania motorcycle accident lawyer considers to be the best orthopedic surgeon in the Lehigh Valley area. However, in spite of roughly eight months of treatment, my client never showed any improvement with regard to his shoulder, range of motion, strength or his pain. On his last visit to the orthopaedic surgeon, he advised that he was still in pain and that the pain was constant. The Doctor opined that my client still had severely limited range of motion, minimal forward flexion and external rotation. The Doctor indicated that my client had irreparable rotator cuff tears and he was not a candidate for any type of arthroscopic surgery. He advised that the only option would be a reverse total shoulder cuff tear arthopathy, humeral head resurfacing versus hemiarthroplasty and indicated that he would not be a candidate for a traditional shoulder replacement. Lastly, the Doctor indicated that even with the surgery, he does not expect any further improvement with regard to his condition and that he would remain with permanent weakness of the arm, permanent limitation of range of motion and permanent limitations in function of the arm. He further opined that he would have lifetime restrictions with regard to lifting and other activities and the maximum he would be able to lift with the total reverse shoulder procedure would be no more than 15 pounds. As a result of this prognosis, my client decided against the surgery. The good news, if there is any, is that although the woman who caused this accident only had $25,000 in liability coverage, my client owned other vehicles and purchased underinsured motorist coverage which totaled $365,000. 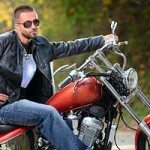 It may come as a surprise to some of you that your own insurance company won’t just hand over the money, and many people need a motorcycle accident attorney to help them. After negotiations, his own insurance company offered $75,000 in benefits bringing his total recovery to $100,000. Inasmuch as this insurance company would not negotiate further, I filed a motorcycle accident lawsuit on his behalf and the defense attorneys removed his case from the State Court to the Federal Court system because they believe they will get a more favorable result at trial. The upside is the Federal Court system moves much quicker than the state system and recently we had a settlement conference with the magistrate Judge. At the time of the hearing, I advised the Judge that our demand to settle the case was the amount of insurance left, which equaled $290,000. However, the insurance company countered with $25,000. After several hours of negotiations, the insurance company was only willing to go to $50,000, wherein we brought our demand down to $200,000. Inasmuch as the Judge was unable to resolve the case, he advised that the case would now be scheduled for trial in the Federal court system. The parties were agreeable to removing it from the Eastern District of PA Federal Court, and going into a binding mediation in Bucks County. It will ultimately be decided by a 3 member panel with each attorney appointing an arbitrator and the defense attorney and I agreeing on a third arbitrator. It will be scheduled for later this month or early July. The arbitration will be binding and the decision will not be appealable. I will keep you all informed as to the ultimate resolution of this claim. This case clearly illustrates that if you sustain a severe injury, you need to immediately call a specialized motorcycle injury law firm, and that is exactly what our firm does – Lee D. Gaber, Esquire specializes as a motorcycle accident attorney in Pennsylvania and New Jersey. Call 888-292-5352 (888-cycle-law) for a free consultation.